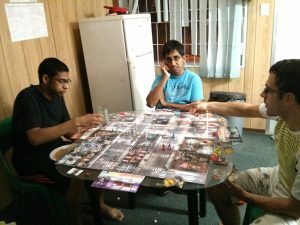 It’s not all work: some of our medical students playing a board game after a braai with one of the MOs. We are proud to be a teaching hospital, with a thriving nursing school, and regular allotments of medical students from UKN. Post matric, wanting experience of a rural setting? Physio/Dietician/OT wanting to see our shiny new rehab unit?